Shipley Glen Cable Tramway01274 589010work MuseumThis unique tramway was built in 1895 and operates narrow-gauge 'toastrack' cable-hauled trams. Two trams with canopy tops, run up and down a steep wooded hill every 3 minutes or as required. Restored and operated by volunteers. Museum open at bottom station - pictorial history and artefacts relating to Shipley Glen and tramway. This unique tramway was built in 1895 and operates narrow-gauge 'toastrack' cable-hauled trams. Two trams with canopy tops, run up and down a steep wooded hill every 3 minutes or as required. Restored and operated by volunteers. 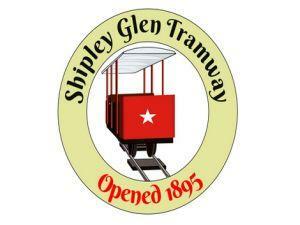 Museum open at bottom station - pictorial history and artefacts relating to Shipley Glen and tramway. A short walk from the world heritage village of Saltaire. Wheel chair access is good to both top and bottom station. Wheelchairs can ride on the trams. Open Sundays 12.00 - 16.00 until Easter. Adult £1.00 single, £2.00 return. M62, M606 - follow signs for Salts Mill. From Shipley follow signs for Otley, then tramway is signposted about 1km from Shipley. Turn left out of station down Victoria Road. Turn left at end of Victoria Road, follow brown tourist sign to tramway, across foot bridge and through Roberts Park.